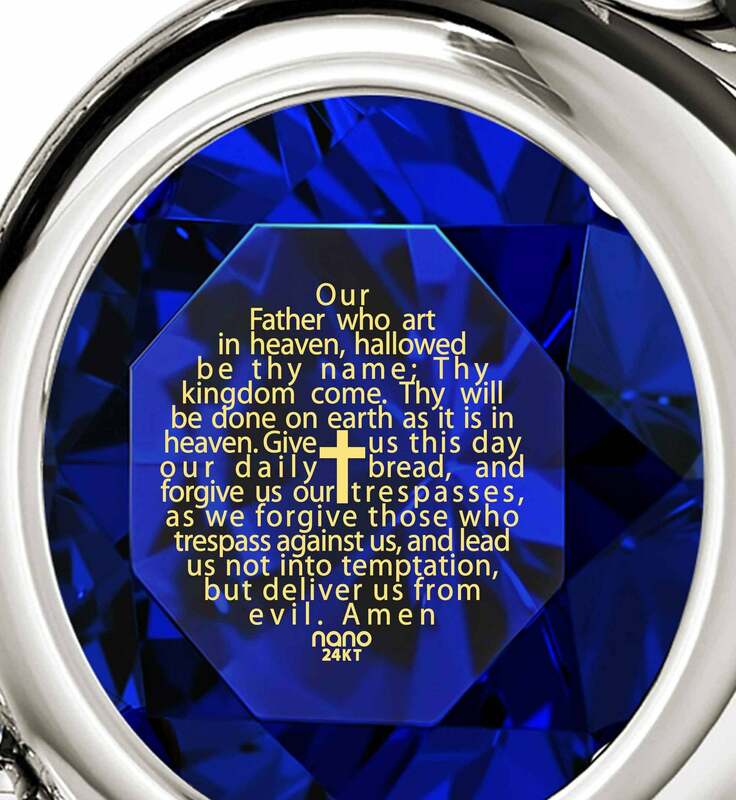 Words to The Lord’s Prayer Inscribed on Fine Nano Jewelry - Gift Now! The words to the Lord's Prayer are spoken daily by untold millions of believers with a strong, resounding conviction in their power to reach God and help bring the kingdom He has promised through His son so long ago. It is a crucial part of public religious life, but even more important as a deeply intimate way of laying our hearts bare before the Lord. A physical reminder of these words’ importance to someone you respect is a fantastic Catholic gift for women, and a wonderful necklace is ideally suited to carry them. 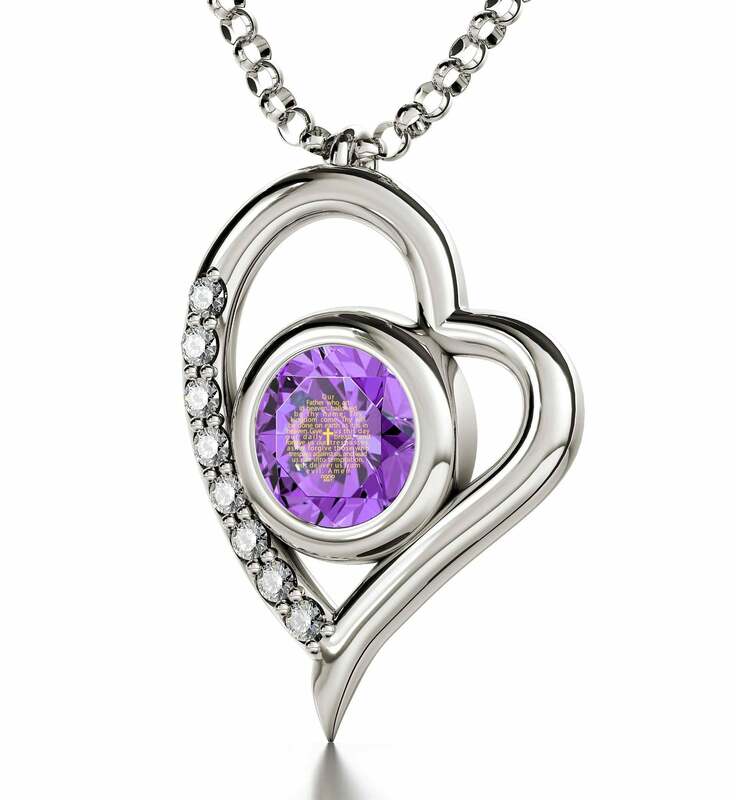 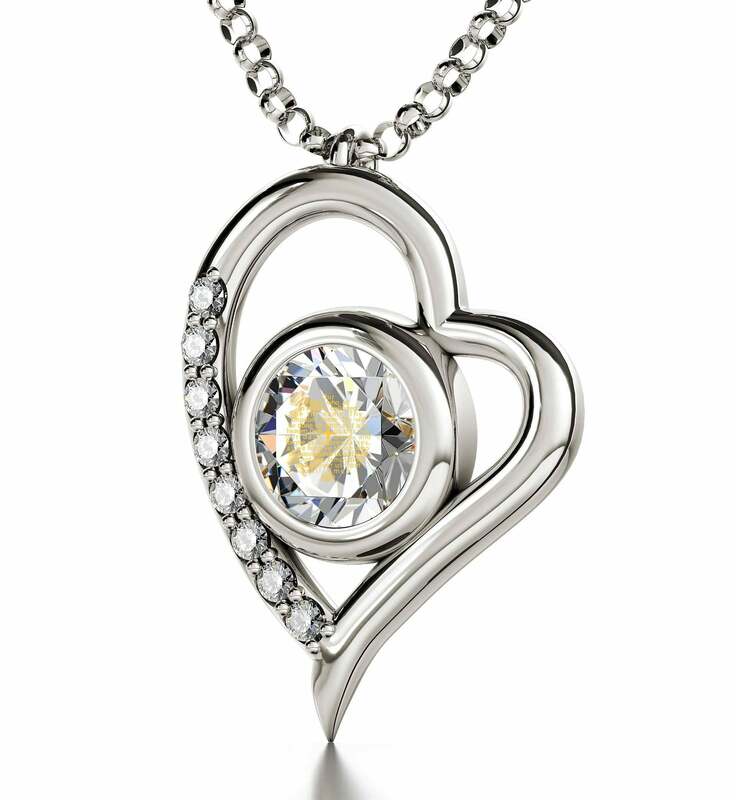 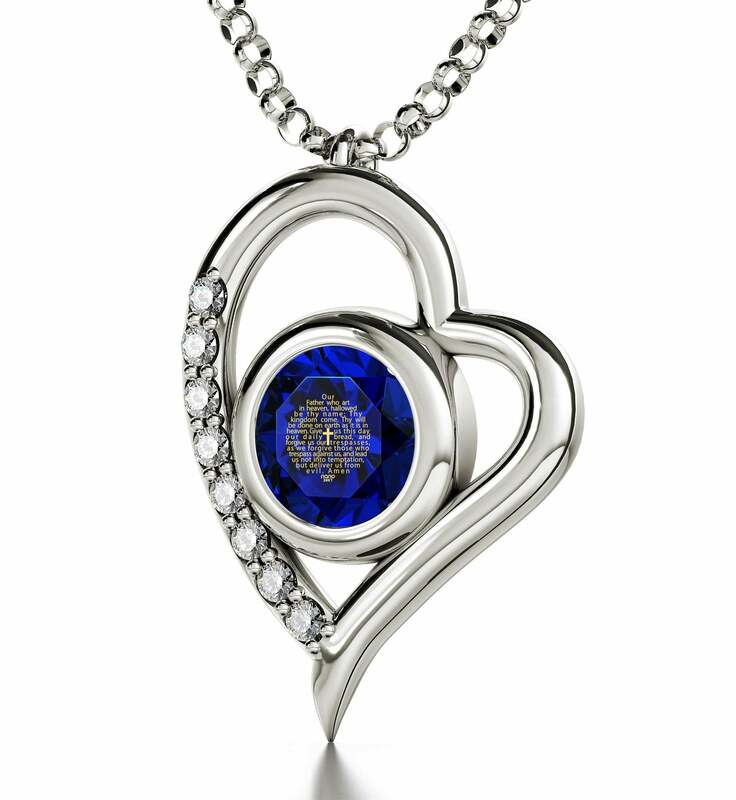 In this piece, no expense was spared to give them a worthy home – its frame‘s heart shape symbolizes the love for the Lord, while the white gold and diamonds allude to this love’s purity, also doing their best to accentuate the necklace as a luxury gift for her. Even such earthly splendors have to take a backseat to Jesus’ words of worship. It is a Lord's Prayer necklace after all, which is made exquisitely manifest on the colorful Swarovski stone with delicately inscribed, breathtaking golden script. 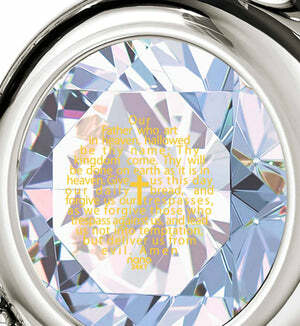 The entire Catholic Lord's Prayer is there, surrounding a cross of gold. Closeness to its words can scarcely be more meaningful and personal as they’re so small that only she will get to read them with clarity whenever it’s time to reflect or give thanks. 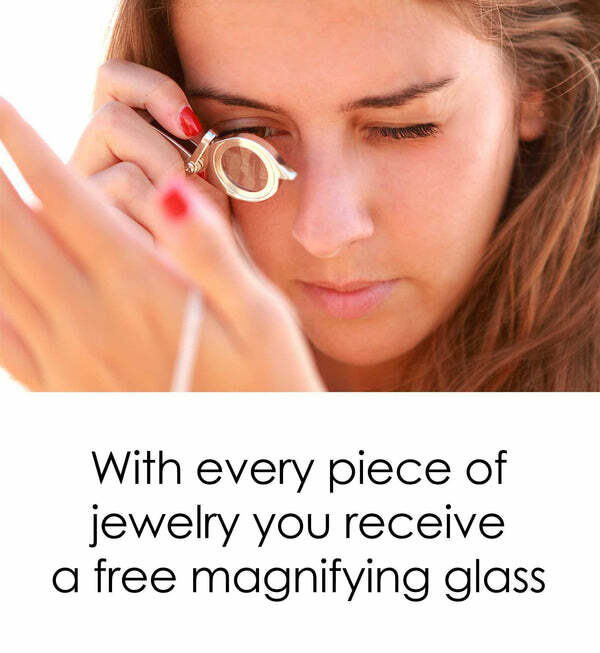 A brilliant magnifying glass will certainly help, and it augments the great gift for her more by accompanying it free of charge. 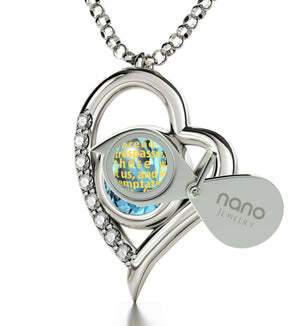 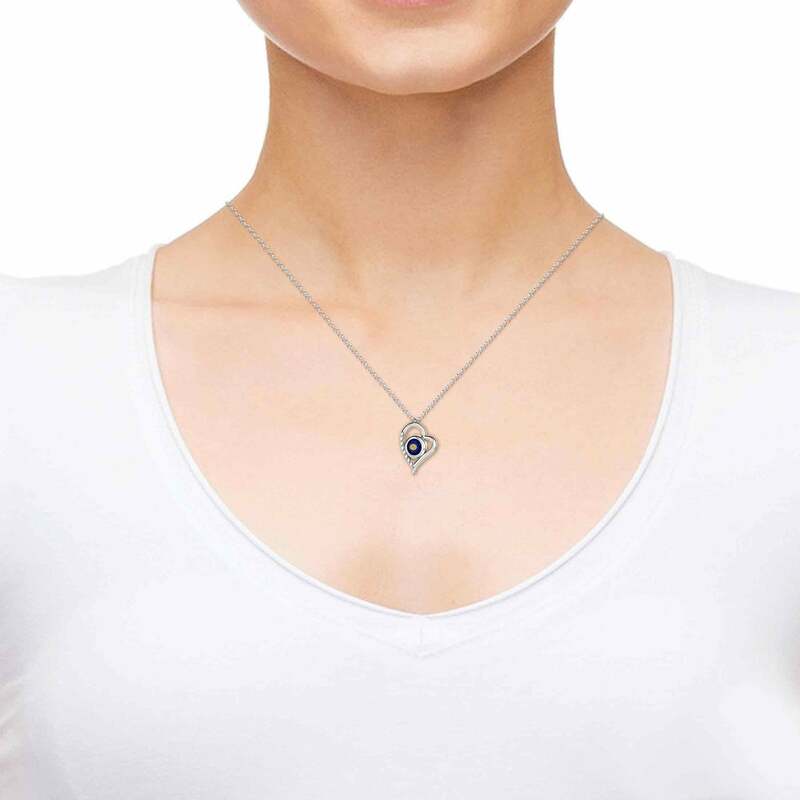 Bring the word of God to her in a most fashionable manner with Nano Jewelry.